Observation - Wayfaring Tree - UK and Ireland. Description: Flowers and leaves of the Wayfaring Tree, actually more of a shrub than a tree. 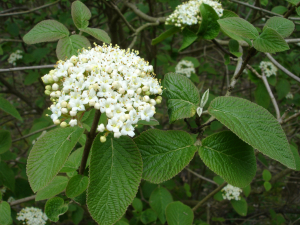 Flowers and leaves of the Wayfaring Tree, actually more of a shrub than a tree.